HUIDA bathroom cabinet absorbs Classical heritage. Noble and pure, luxurious and simple, classical while modern, realizes the dream you are yearning for life, creating a classic bathroom space. 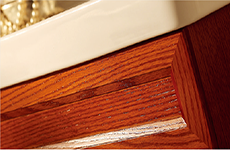 Outstanding hardware accessories, silky and smooth. Passed 200,000 times of opening and closing test and 72 hours salt frog spray test, remaining new as origin. 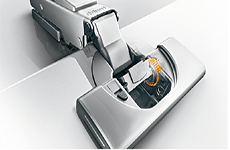 Mute damping system reduces the noise of closing doors, reducing collision and protecting the surface of the cabinet. 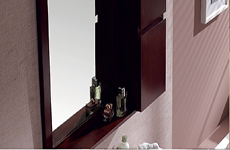 Huida bathroom cabinet are made of imported oak, strong resistance to deformation, high density. The release of formaldehyde reaches E1 standard in Europe. Excellent waterproof and anticorrosion ability. 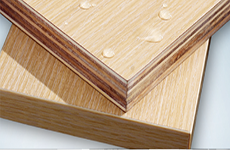 Dense wood texture, high strength, large bearing capacity, and good stability. 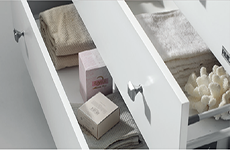 Huida bathroom cabinet selects the best quality wood materials, which are damp proof and corrosion proof, maintaining good quality after long service time. Environmental friendly and safe, ensuring the long. Use high-end car paint spray and bake in a dust-free environment to ensure the color brightness will not fade, maintaining superior durability and anti-corrosion function. The silver mirror is made from England floating glass technolog and silver plated. 120 hours CASS and 480 hours NSS tests, the results in full compliance with the EU EN-1036 environmental protection standard. 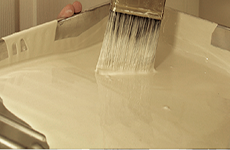 Professional and environmental protection paint layers are uniform, solid, stable, durable, and clear. Accurate mirror effect and no distortion. 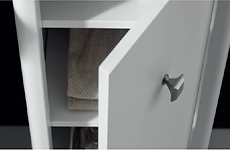 With the humanized design concept, the storage function is better, providing considerate supporting segment, bringing you a more enjoyable bathroom space. 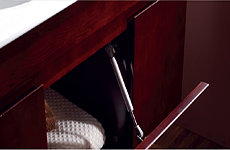 Multifunction and multi-layers storage self greatly enhances the storage function of the bathroom cabinet. It meets the demand for the urban city life.